David Herbert Lawrence was born in Eastwood, England, in 1885. In 1914, he married Frieda Von Richtofen, a German national and distant cousin of the German war ace, "The Red Baron" von Richthofen. While living on the Coast of Cornwall in 1917, they were harassed and accused of being spies for Germany. By 1921, the Lawrences were living in Italy and D. H. had won international acclaim for his writings. Mabel Dodge Sterne invited the pair to her home in Taos, New Mexico. Traveling by way of Ceylon, Australia, Tahiti, and, finally, San Francisco, the Lawrences set foot in New Mexico for the first time in 1922. Although he traveled all over the world, Lawrence was never as happy anywhere as he was in Taos. Arthur Bachrach has lived in Taos for over twenty years, and he has come to know people who freely recalled the Lawrences. They shared information about the circle of artists and friends who surrounded the Lawrences and their lifestyles. 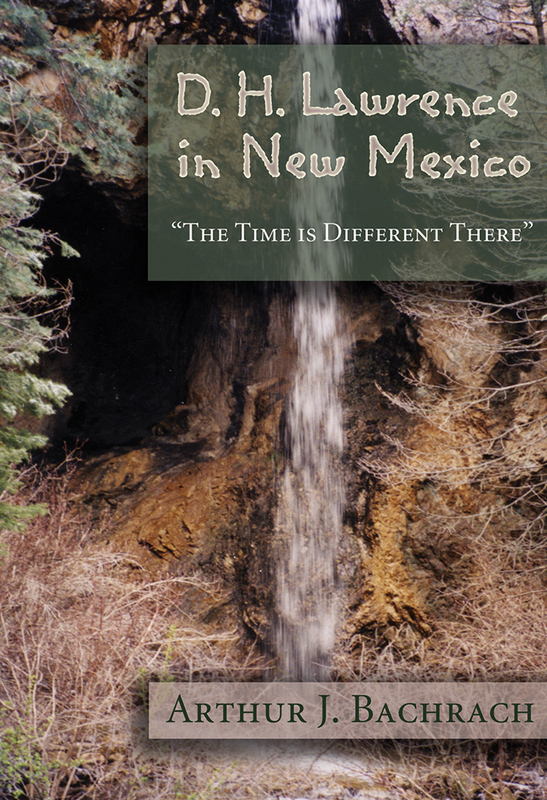 Bachrach provides information on Lawrence's writings and the influence living in the mountains of New Mexico had upon him. D. H. Lawrence died of tuberculosis while visiting France in 1930, and five years later, his ashes were placed in a memorial on his beloved Kiowa Ranch near Taos. Given to the University of New Mexico in the 1950s by D. H.'s widow, the ranch is known today as the D. H. Lawrence Ranch. Arthur J. Bachrach (1923-2011) received his PhD from the University of Virginia and directed a biomedical laboratory for the U.S. Naval Medical Center, Bethesda, Maryland, from which he retired to Taos. He and his wife opened the Moby Dickens Bookshop in Taos in 1984. Bachrach was an active member of the D. H. Lawrence Society of North America.